So, you want to learn AutoCAD ? Lets get started with ‘Introduction to AutoCAD User Interface’. When you start AutoCAD After installing you will be presented with Welcome Screen(Work, Learn and Extend) . Press close on it. Now AutoCAD window will be open. 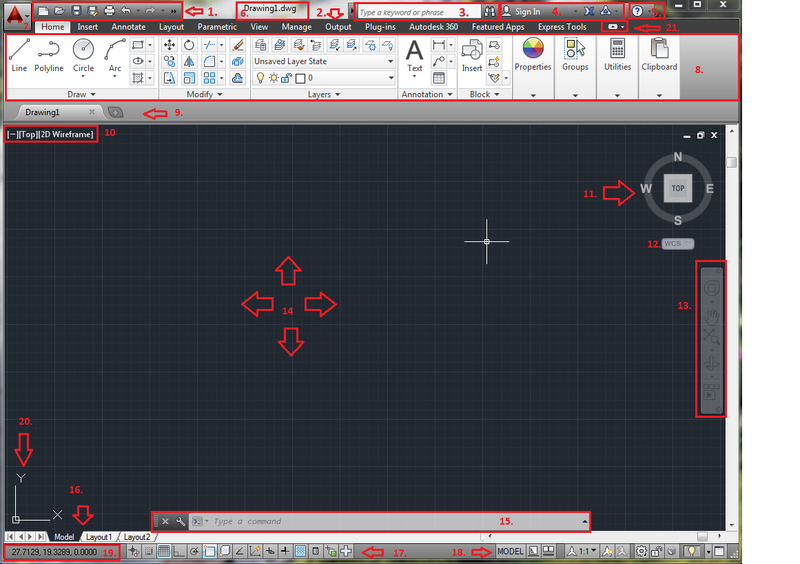 For better understanding of AutoCAD User Interface I have divide it into 20 different parts . So we will see each part one by one. In above window you are not able to See Quick Access Toolbar(QAT) and Workspace tabs is because above window is not in Maximize mode. 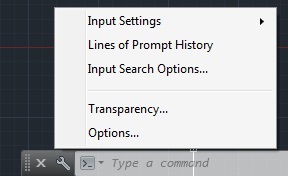 So if you are unable to see Works space and QAT then press Maximize window tab. 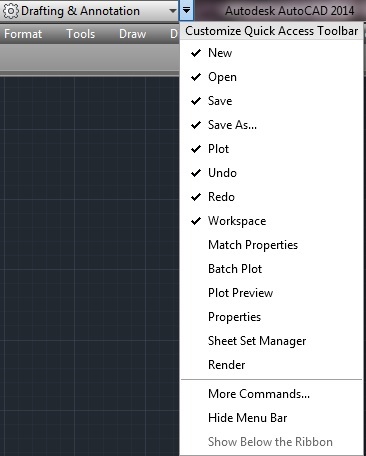 By default this window have some tabs like: New, Open , Save , Save All, Plot , Undo and Redo. You can Customize this QAT by pressing down key tab next to Workspace list . Also alternatively you can Right Click on Ribbon(8) tabs and Add any Tabs to QAT . Below QAT you will find all Ribbon Tabs available in this WorkSpace. Default Works Space is ‘Drafting and Annotation’ . Different Ribbon tabs offers different Ribbon panels depending on your work. You can search any commands or information by entering any Keywords or Phrase. Which is also called information center which links to AutoCAD 360 . Help tabs link with help file you can search help content also other information as below. You can change setting for display Welcome Screen here. Here you will see your Drawing file name which is open currently. 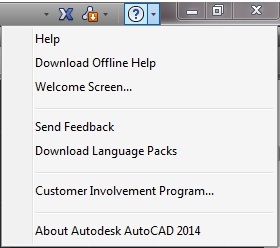 This AutoCAD application menu offers different options along with Default QAT options as below. This is your main Toolbar area where you will find all Tabs in panel format arranged as per their use . Ribbon is consists of panel. Some panel is associated with Dialog boxes which can be used by pressing bottom right corner arrow tab of panel. You can add new Drawing Files by pressing [+] icon on File tabs or if you want to switch between Model and Layout tabs then hover mouse cursor over File tab name and a preview will be shown as below then select correct Layout. 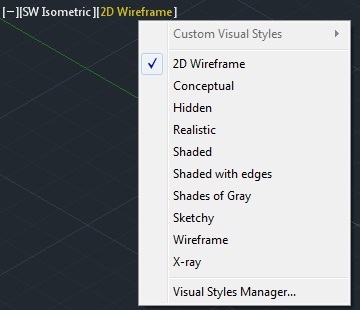 This is on Screen View port controls form where you can change AutoCAD views and Visual Styles to different options as below. Through view Cube you can see Drawing Elements from Differnt view direction and you can rotate view . 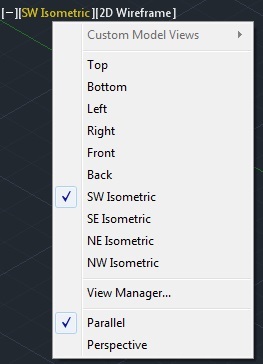 This Navigation bar you can locate on different side of AutoCAD window . This contains some additional tools like Pan. This is main area of Model where you will create new Drawing elements . This is infinite space area . This tabs used for Model and Layout tabs . You can create Rename and Delete Layout tabs from here. Also you chnage location of Model and Layout tabs to status bar by Right click and select option to hide. This is application Station bar which consist of different settings. You can toggle to on and off these icons. This contains Model s, Annotation and some additional settings. This is available in Drawing window status bar. This is Coordinated of Drawing. You can change ribbons Minimized to tabs, Panel Titles, Panel Buttons or |Cycle through all. Tip: If you over any tab then it will give you short info about that tab. If you hover it for couple o seconds then it will give you full info about that tab with pictures .